If a direct report can nominate their own peers, they will be prompted to select their peers and then the manager will be prompted to approve these nominations. 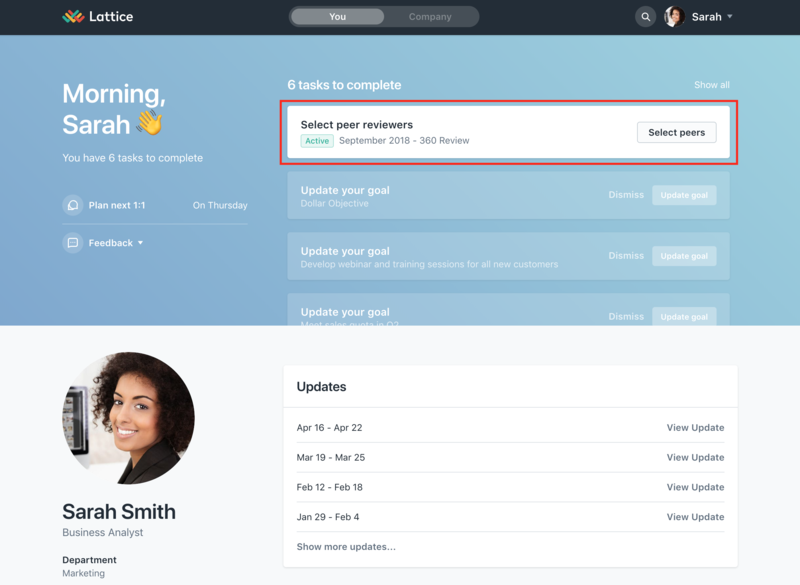 Employee View: "Select your peers"
Manager View: "Approve peer nominations"
If a direct report cannot nominate their own peers, the manager will be given the task on their "You" page prompting them to select peer reviewers for their direct reports (as shown below). 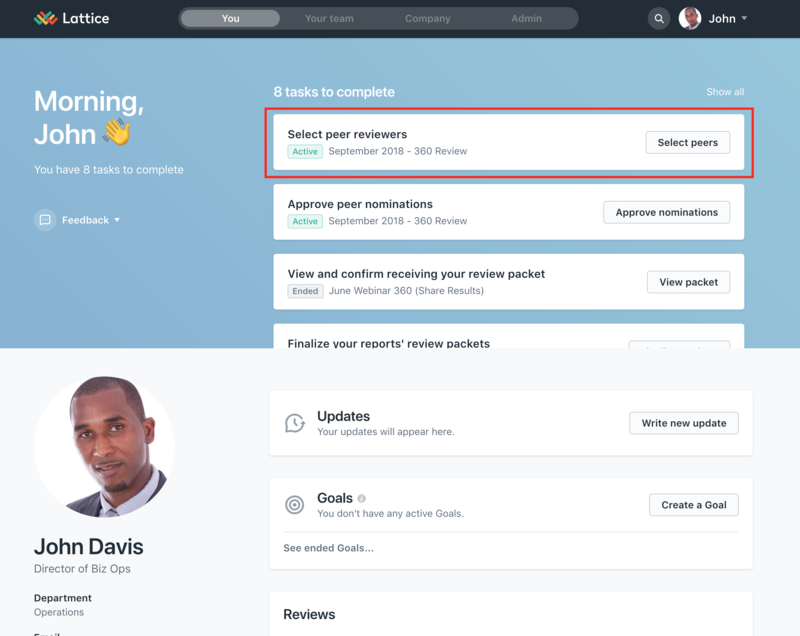 They will also see this task by navigating to "Your team" in the navigation bar and toggling to "Review cycles." 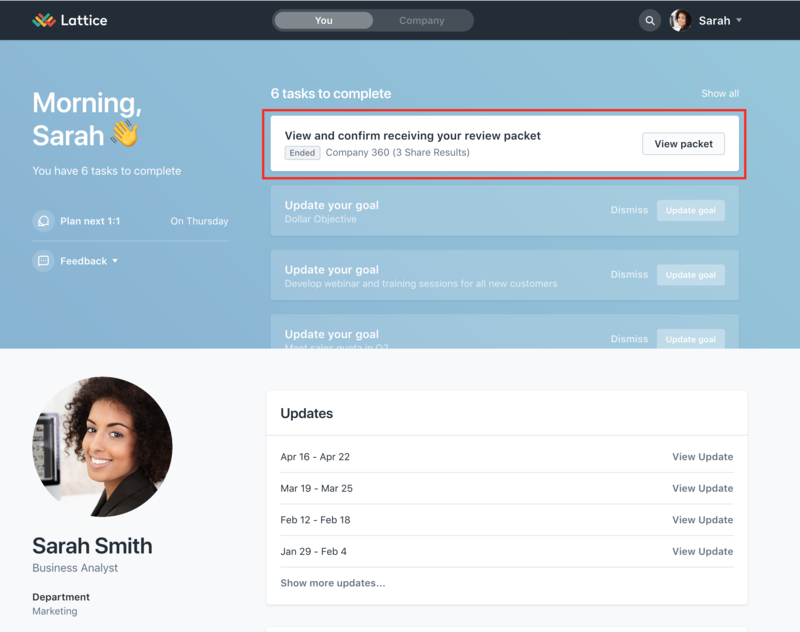 Every Reviewer will be prompted to complete the same task on their "You" page to perform their reviews. (The percentage bar in the task displays the percent of reviews you have completed out of the total reviews that you need to write). 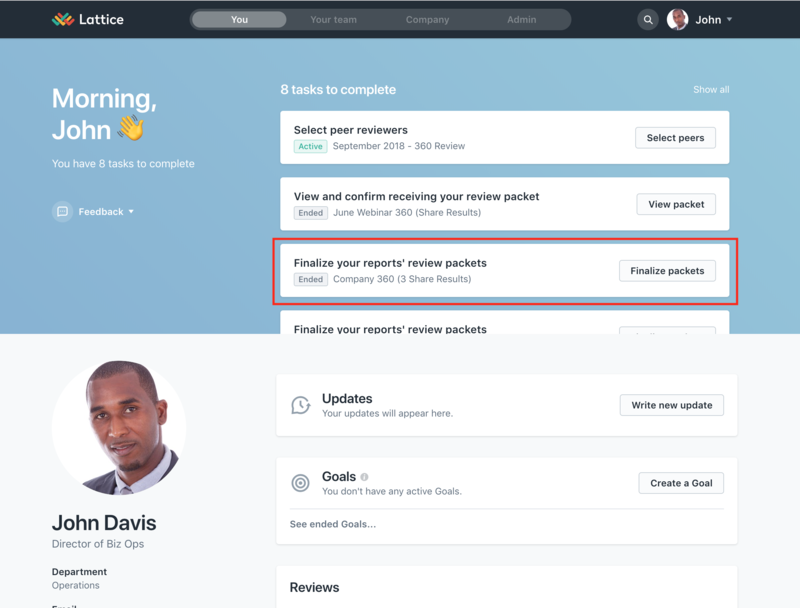 After Reviewees have completed their reviews, managers will be prompted to finalize their reports' review packets, as seen on their "You" page. 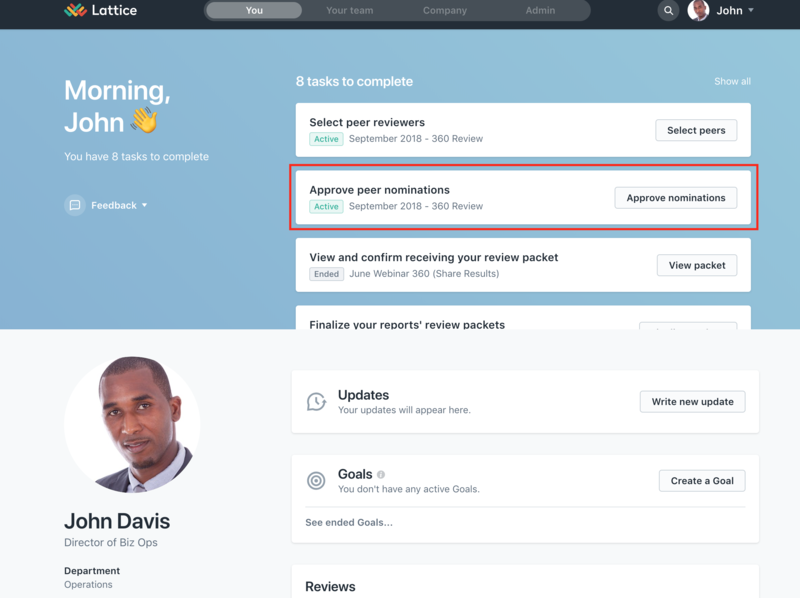 They will also see this task by navigating to "Your team" in the navigation bar and toggling to "Review cycles." Once the review cycle has come to an end, Reviewees will see the task to view and confirm receiving their review packet.